Thymic epithelial cells (TECs) play multiple essential roles in T-cell development and the establishment of immune tolerance, but their isolation can be challenging, and their low viability upon isolation complicates downstream experiments. A method that allows TECs to be isolated easily and to survive afterward will be useful for elucidating key questions in TEC biology. Here, we demonstrate a simple method to isolate highly viable TECs. Primary TECs isolated using papain together with collagenase IV and DNase I survive and proliferate in vitro. Moreover, these primary TECs functionally engraft after intrathymic transplantation into recipient mice. 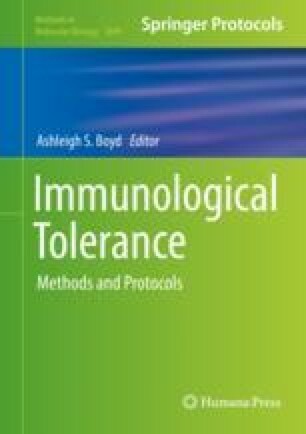 Thus, the methods described herein will be useful for elucidating the roles of TECs and TEC subsets in T-cell development and immune tolerance. MJK was funded by a Mary K. Iacocca Foundation Research Fellowship. TS received funding from a seed grant from the Harvard Stem Cell Institute. The authors gratefully acknowledge the Joslin Diabetes Center Flow Cytometry Core supported by an NIH Diabetes Research Center grant (NIH award P30DK036836) and the Harvard Stem Cell Institute. The authors acknowledge the excellent support of the Joslin Animal Facility.